It happens every time! Every time there is a national event Henley rises to the occasion. Congratulations to the Jubilee Committee and everyone who has taken part. There is a strength and depth to our town's life and that is what we will be celebrating at the Community Thanksgiving Service, 10 am on 3rd June in St. John's. The High Bailiff and I took the decision to rebrand our annual Civic Service as a Community Thanksgiving Service. Council members, Fire, Police & Medical Services, schools, clubs, churches, businesses and organisations have been invited to join together for an uplifting Service followed by Court Leet refreshments in the Guildhall Garden. The response has been very positive as we recognise our togetherness. Hopefully we will build on this enthusiasm for next year, invite more people and involve more people in the Service. The Jubilee spirit is primarily focused on the Queen but it is also about celebrating our common identity. Let us thank God for all that unites us and let's celebrate right across the weekend! The Joint Parish Council is sure that all the residents and visitors will enjoy the 3 days of events organised by the Henley-in-Arden Queen's Diamond Jubilee Committee. We hope that as many people as possible can participate in these community activities and that the weather is kind. We are confident that a fitting memorial will be found to remember this event in the years to come. 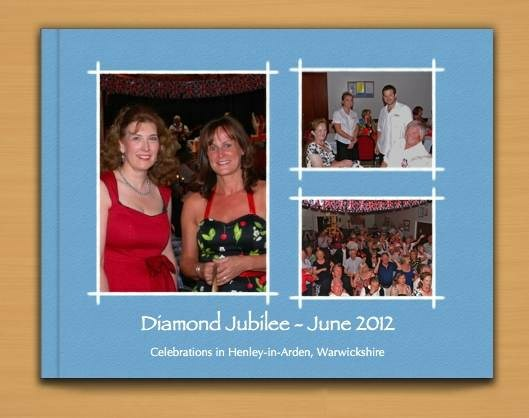 Back in November 2011 the Diamond Jubilee Organising Committee was formed and the planning started for three iconic events. Separate committees were formed and they have worked diligently to organise each event. The planning is now complete and we are in the final countdown to a series of great celebrations the like of which Henley will not have seen this century. The Lord Lieutenant of Warwickshire, Martin Dunne who is the Queen's representative in the County, has commended the town saying, "Your plans for the first weekend in June really do include something for everyone to enjoy and should be a lot of fun. That is just how the Queen would like it." 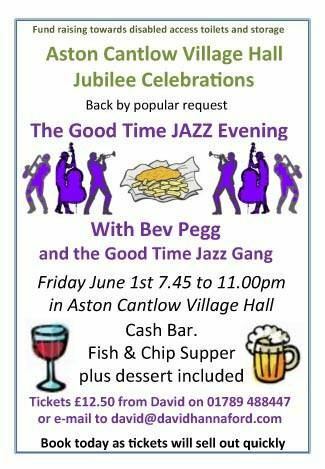 I hope you all enjoy our town's celebrations and I thank all those who have worked hard over many months to raise the money and organise these marvelous events. Proclamation at the Market Cross at 1 pm by the Town Crier. 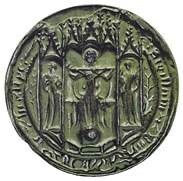 Followed by the Crowning of the Jubilee Queen, the Crowning will be carried out by Douglas Bridgewater. Then led by the Jubilee Queen the Fancy Dress Parade and residents will go via Back Lane to the Riverland Gardens which will be renamed and opened as the Jubilee Gardens by the Queen at approximately 1.30 pm. Followed by a afternoon of fun with many stalls put on by organisations and businesses in the town until 5 pm. The Fancy Dress Competition is open to all ages and will be judged at 3 pm. A prize for the best dressed child and one for the best dressed adult. The Big Lunch site at the playing fields on the Stratford Road behind the Tennis Club will be open for residents to deliver tables, chairs and gazebos, if wanted, between 10.30 and 11.30 on Sunday morning, but vehicles must be off the public area by 11.30. Church goers need not worry; the Rector has already booked one of the largest pitches. However, you will need to carry your picnic from the car park unless you have been issued with a special pass for disabled guests. The whole site will be open for all to arrive from 12 noon. If driving, please go past the tennis courts down to the field gate at the bottom on the right, from where you will directed to the car park by members of the Henley Rotary Club. Johnsons have kindly agreed to stop the X20 at the entrance to the playing fields, and for the return, in the lay-by at Warwickshire College. 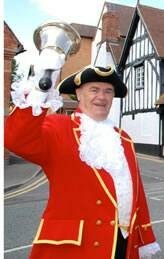 The Big Lunch will be officially opened by the Town Crier at 12.30. This will begin a whole afternoon of fun. There will be a large children’s play area with two bouncy castles, one for up to 3 years old and one for up to 11 years, face painting, balloon modeling, a craft table to make your own crown (with assistance! ), skittle alley, hoop-la and a stall selling helium balloons and flags. 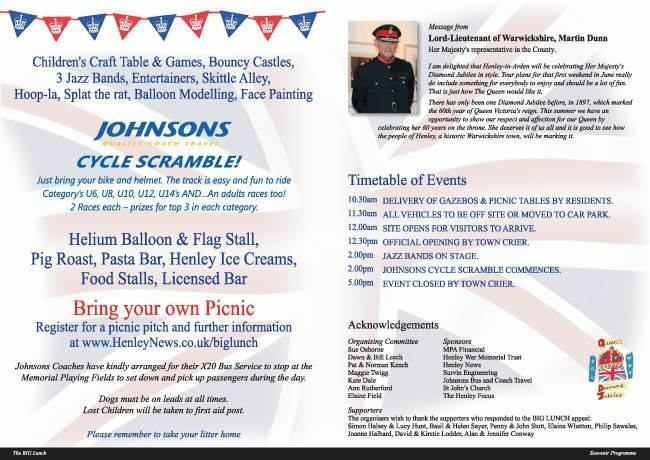 John Johnson will be running the Johnsons Cycle Scramble, so bring bicycles and helmets. The Hub will be in charge of a mini sports day for budding young Olympians. There will be all the traditional races, including egg & spoon, sack race, three legged race, parents' race. Add to all this a pig roast, pasta stall, ice cream tricycle, a licensed bar and our own butcher Rob Mills selling his best picnic foods. So those who don’t want to carry a picnic will be well catered for. 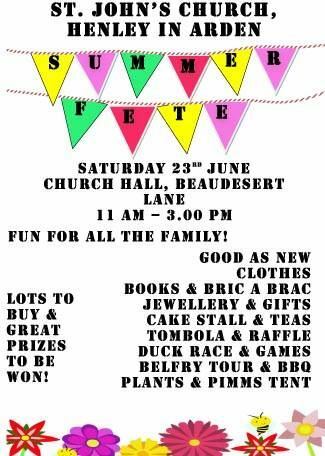 During the afternoon there will be music from a fairground organ and three jazz bands. A professional photographer will be circulating to record the event and your individual parties. Finally, important messages will be broadcast over the PA system by a professional announcer. Please register below, if you haven't already, as we need to know the numbers coming. 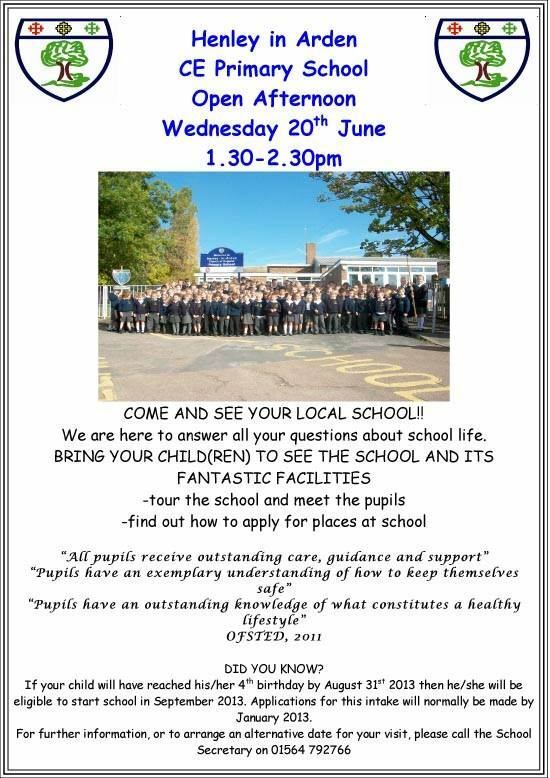 Everyone is welcome, even if you don't live in Henley. Finally, please remember entrance to the event is FREE. All the costs have been paid for by our Sponsors and Supporters, whom we thank for their generosity. 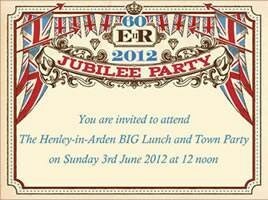 RS Mills - the Henley Butchers will be attending The BIG Lunch and Henley's Town Party to celebrate the Queen's Diamond Jubilee with the community. They will be promoting their delicatessen range for the perfect picnic. Rob Mills told Henley NEWS, "Please tell the community to come along and try our tasters; Our wonderful selection of English and Continental Chesses, our award winning Italian Olives, not to mention a selection of fine condiments to accompany them. Rob continued, "RS Mills look forward to welcoming you to the BIG Lunch. YOU CAN TRY OUT THE TRACK WHEN THERE ARE NO RACES GOING ON! ALL CHILDREN RACE ON THE PRESUMPTION OF PARENTAL CONSENT! All categories have 2 races each at the above times – approx! All riders who complete both races receive a prize! Prizes for 1st, 2nd and 3rd in each category- and separated for boys and girls. All non-finishers score 30 points!! The person with the lowest score after 2 races is the winner. The highest placing in the second race will decide any points ties. The presentation for the 3 overall winners in each category will be on the main stage at 17.00hrs. A welcoming glass of fizz, followed by a 3-course sit-down lunch by Sue Dalby Catering. 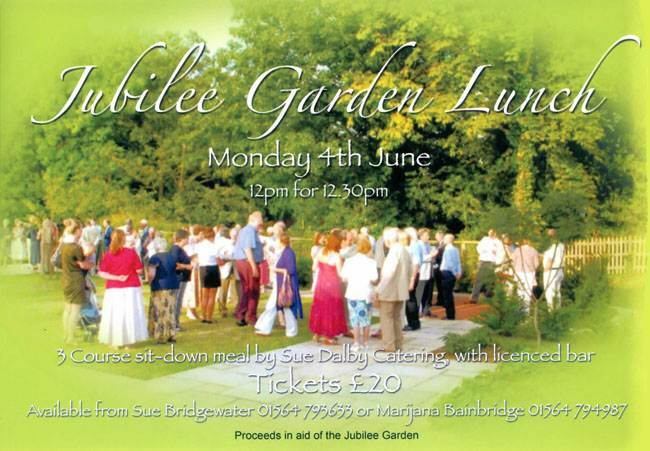 There is no better way of spending Monday afternoon in Henley than lunching in the increasingly attractive surroundings of the Jubilee Garden (a cautionary note - lunch will be served in the Beaudesert Church rooms if wet). A licensed bar will be available. This is the Guild Hall Garden Committee’s contribution to the Queen’s Diamond Jubilee and celebrates the renaming of the Riverland Garden as the Jubilee Garden. Over 60 tickets have already been sold and you are cordially invited to join us. Applications will close at 6.00 pm on Thursday, 31 May. 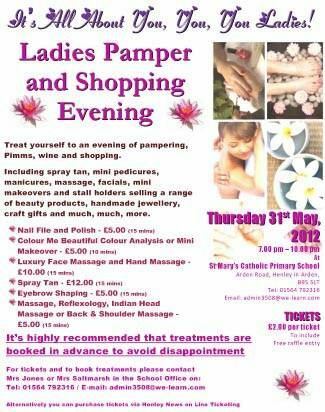 Tickets are £20 each and can be obtained from Marijana Bainbridge (01564 794987) or Sue Bridgewater (01564 793633). 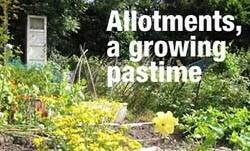 Proceeds are in aid of the Jubilee Garden. After lunch on Monday why not wander down to Torquil Pottery and listen to their jazz concert? 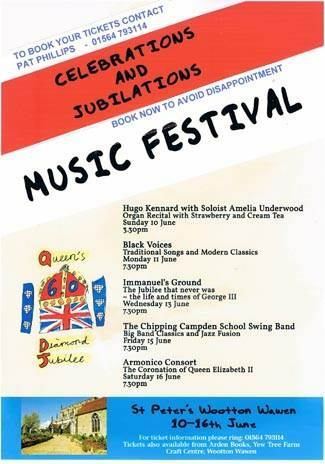 In celebration of the Jubilee on Monday 4th June, there will be strawberries & cream, Pimms & lemonage and music from Retrojaz in the garden from 1.30 - 4.30pm - this is a free event but generous donations are encouraged for the Cynthia Spencer NHS Hospice in Northampton. The Gallery Upstairs is holding their summer exhibition “An English Summer” from 29th May to June 23rd. The extensive group exhibition will feature work by over 50 artists in the gallery and gardens. Established in the Midlands as an important centre for British contemporary art and craft, the gallery promotes the works of young emerging artists alongside well known established artists and craftsmen. 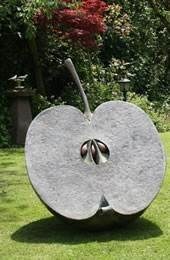 In the garden there will be the striking limited edition “Half Apple” from David Watkinson made in polished cold cast bronze. 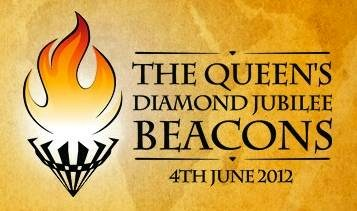 The Henley and District Branch of the Royal British Legion is privileged to be part of The Queen's Diamond Jubilee Beacons national celebration on Monday 4th June 2012. 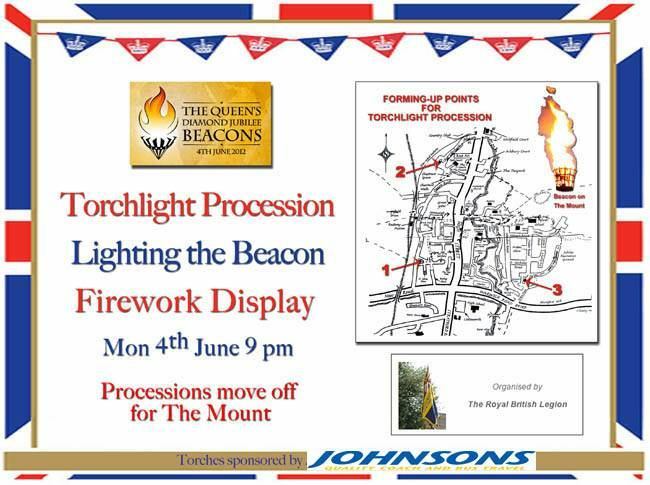 We have been commanded by Bruno Peek OBE MVO OPR, Pageantmaster of The Queen’s Diamond Jubilee Beacons to light the beacon on the Mount at 10.15 pm. Sue Westmacott and Peter Johnson will light the beacon. Following this there will be a firework display which has been funded by the Joint Parish Council. Residents are invited to assemble at three forming-up points, Brook End Drive Green, Cherry Orchard Green and Meadow Road/Arden Road by 9 pm. People from other parts of the town may join any of the processions at any point. The three processions will converge at the base of The Mount on Beaudesert Lane. At this point, there will be a stall selling torches. Torches may also be purchased at the Crowning of the Jubilee Queen event in the Guild Hall Gardens on the preceding afternoon (Saturday). Mulled wine will be available on the Mount. Mr Oliver Muntz of Umberslade Children's Farm has kindly loaned a trailer to the Henley-in-Arden Royal British Legion and Mr James Steele will drive the tractor so that people who are unable to climb the Mount will be able to enjoy the Beacon & Firewoks. The Henley Royal British Legion encourages all residents to join with us in this national celebration on the occasion of our hardworking Queen's Diamond Jubilee. For those residents not wishing to climb The Mount, the Black Swan is providing entertainment culminating with a great view of the firework display from their garden. 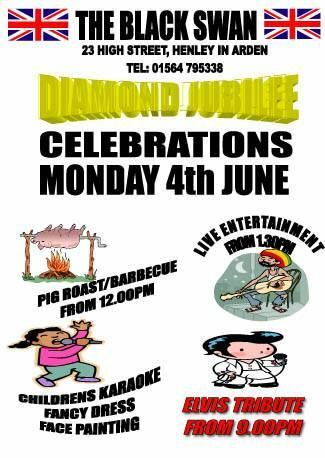 The licensees, Linda and Ian, will be putting on live entertainment and a pig roast starting at 12 noon. From 9 pm Elvis will be entertaining guests. 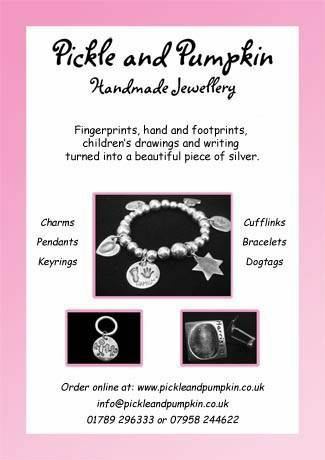 Bookings are now being taken on 01564 795338. 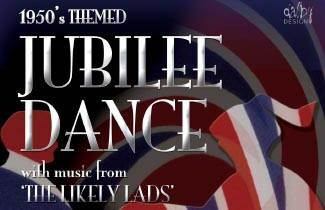 Saturday 26th saw the beginning of Henley's Jubilee celebrations with a Dance at the Memorial Hall. A good crowd attended including some in 50s dress and many others in red ,white and blue. The Likely Lads, who have not been to Henley for some time, were as excellent as we remembered them, albeit a little older.They played hits from the late 50s and 60s and included some old favourites like the St Bernard's Waltz and Valetta. There was something for everybody. The Henley Choir, most of those attending, led by Les Long gave a wonderful rendition of Land of Hope and Glory, You'll Never Walk Alone and Sailing! We finished the evening in a very traditional way with God Save the Queen. Sue Dalby made a wonderful buffet supper with Coronation Chicken, quiches and salads followed by strawberry cheesecake. Nobody went hungry. The Hall was decorated with bunting reminiscent of a traditional street party and set the Jubillee scene. The whole event was sponsored by Mr & Mrs David Archer, Arnold & Bainbridge, Cullingworth & Co, Crown Cleaning Services, ENV, Johnsons, Merrydays Montessori and Trine Developements and the Memorial Hall Committee would like to thank them. With their help we raised over £1,000.00 for the Hall. Thanks and congratulations to Marijana, Duncan and all their team for putting on a great evening for all the “oldies” of Henley to reminisce and try to recapture their youth. We were all well entertained by a great band and fed exceptionally well by Sue Dalby and her staff. The whole evening was a great success and we hope a great deal of money was made in support of the Memorial Hall. We are looking forward to the next great event. 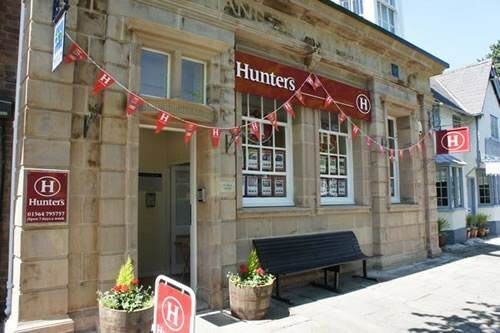 Hunters at 66 High Street were amongst the first of many commercial establishments in the High Street to decorate their office in celebration of the forthcoming Jubilee Celebrations. New flower tubs, planted naturally with red, white and blue compliment our cheerful bunting! The office is decorated inside also to match the occasion. "If you are looking for a right Royal welcome, whether you want to buy or sell, let or rent we look forward to welcoming you to our Palace", writes Megan Gregory of Hunters. Many of the other commercial premises are also putting up decorations. 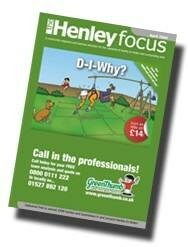 Henley NEWS will be producing a special edition containing reports and slideshow of all the events. 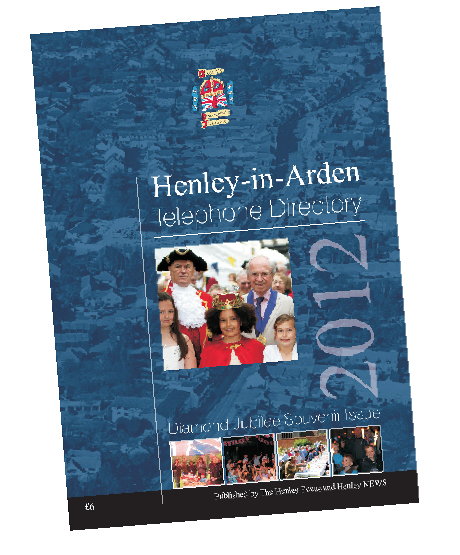 The best pictures will also be included in the Diamond Jubilee edition of the Henley Telephone Directory. In addition, we intend to produce a high quality 20 page souvenir album in both hard back and soft cover 28 x 22 cm. A visual using photos from the Jubilee Dance is shown below. Henley NEWS will be inviting the organisers of all the major events to become an editorial panel to select the best photos for the souvenir album. It is hoped that a proof will be available in early September, at which time orders will be taken. It is intended that a copy will be presented to the Heritage Centre for the town archive. 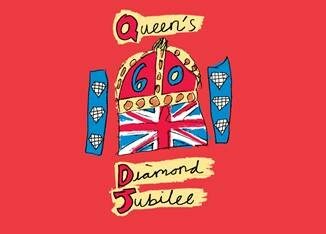 Please send us your best pictures of the Jubilee in the highest resolution. CLICK ON the banner above for further information. CLICK the left and right facing arrows in panel above for more adverts. 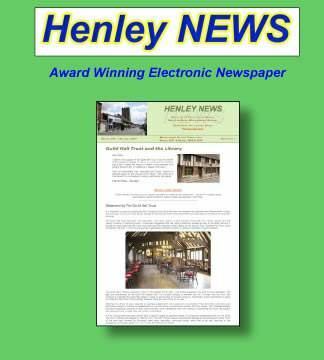 Henley NEWS provides email alerts to advise readers, who have registered for the service, when a new edition is published. If you would like to receive an alert each time a new edition is published, please click on the link below. Henley News is registered with the Information Commissioner and we will NOT disclose your information to third parties. Registration will also give you advanced notice of special events and invitations. In addition, we occasionally broadcast News Flashes to our registered readers. 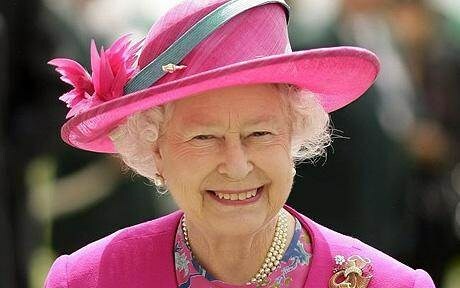 More than 30 parishes and villages in the Alcester deanery, among them Beaudesert and Henley, are being invited to join in festivities linked to the Queen's Diamond Jubilee at Warwickshire's oldest church including a last night "world first" performance. Enquiries about tickets costing £15 via Pat Phillips at patphh@btinternet.com (tel 01564 793114). We are pleased to have some new members and hope that more will come along to our meeting in the Memorial Hall on Tuesday June 5th at 7.30pm. 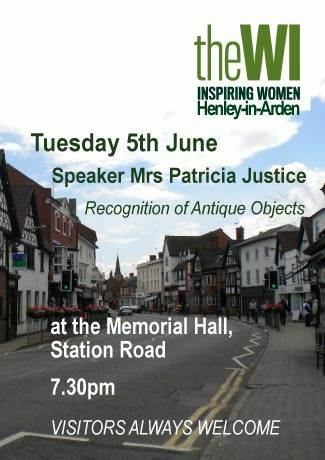 Our speaker is Mrs Patricia Justice and her topic is "Recognition of Antique Objects". Why not try WI? - visitors always are welcome. June 19th is an outdoor meeting. Please be at the Market Cross by 6.30pm for a visit to Pepper Wood, Bromsgrove. If you require transport contact Dave Evason or Bob Riley. 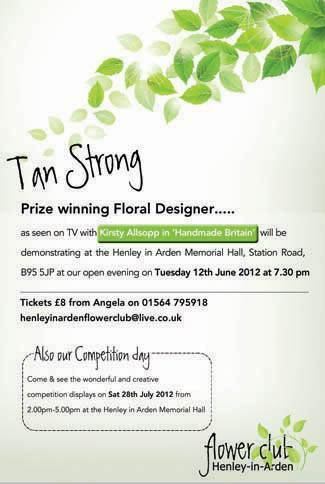 12th June an Open Evening with Tan Strong (as seen on TV with Kirsty Allsopp). Contact Angela Pinnegar, 01564 795918. Advance booking would be helpful. For information phone Marijana or Duncan Bainbridge 794987 eve 795149 day. Meets every Tuesday at St John's Church Hall, Beaudesert Lane (6.30-7.30). Contact Paul Barnard 01564 792278. At a recent meeting of co-ordinators for the Stratford area, the chairman stressed how important it is to contact residents quickly when crimes are reported in the area and this is why co-ordinators are needed. Henley is covered quite well with most roads but there are areas still in need of someone to contact. If you are willing to have your name and telephone number registered to receive calls from the Crime Officer when necessary please let Annette Walker (792837) know. A Flat has become vacant at Johnson House, Henley in Arden. Applications are invited from person or persons born in Henley. Apply in writing to Mrs S Nicholson Flat 3 Whitehouse Mews Henley in Arden B95 5GA by 30th April 2012. Rotary International in Great Britain and Ireland, is an organisation of more than 55,000 men and women who, as members of over 1,850 Rotary clubs, volunteer their time, talents, professional skills and energy to improving the lives of people in their local communities and others around the world. 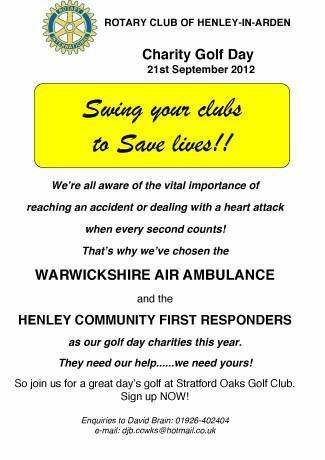 The Henley-in-Arden Club meets at the Golf Club on Monday evenings at 7pm. New members are always welcome. De Montfort Lodge is the only freemasons’ lodge meeting in Henley. 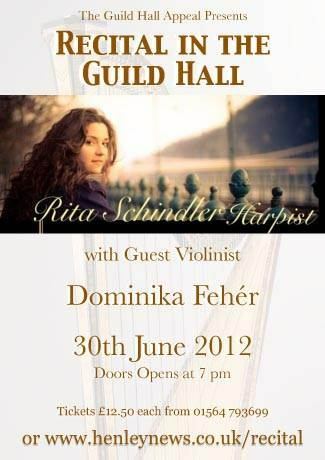 It was established in the town in 1930 and holds meetings in the Guild Hall. Anyone interested in freemasonry should contact John Pollard on 0121 603 8577 for further details. Plays Duplicate Bridge of intermediate standard on Tuesday evenings at the White Swan Hotel and usually finds time for a tipple, which may or may not improve our play!! Play commences at 7.15 promptly. There are normally 5 - 8 tables and the club does not issue master points. The Wednesday Club provides a friendly environment where people with visual problems can meet together and enjoy good company, interesting speakers, outings and a delicious tea together. The Club meets on alternate Wednesday afternoons and welcomes new members. 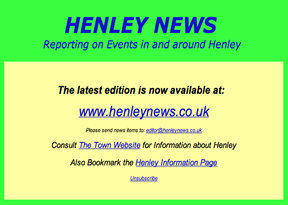 For further information please phone: 0121-705-3926, 01564-792724, 01564-794209 or 01564-792138.
HENLEY NEWS is a confidential 'Not For Profit' on-line newsletter, exclusively for our registered readers. Commercial advertisers are asked to make donations to Henley's charities. The views expressed in these stories and articles do not necessarily match the views of the editor.